The leaves in our area are putting on a brilliant display these days; around every corner is another maple tree in brilliant oranges, yellows and reds. Kids on the playground are making leaf piles and it’s all feeling very cozy and fall-ish. 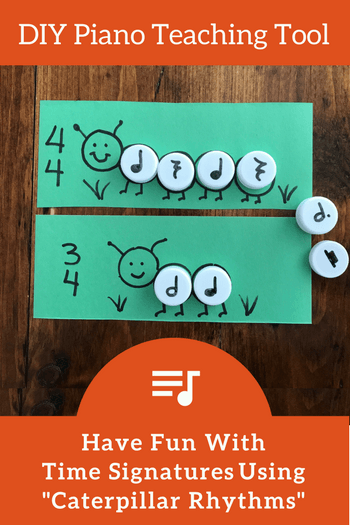 While out for a walk in the leaves with our daughters, an idea for a DIY piano teaching game popped into our minds. 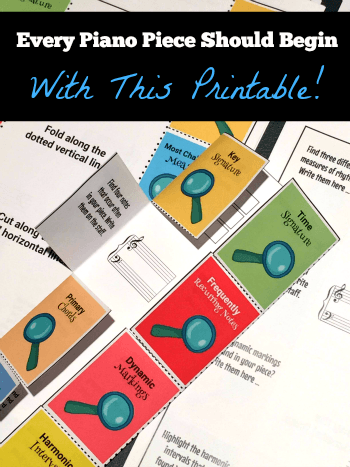 It’s yet another great way to solidify note reading – and this time it incorporates your piano students’ current piece for some massive “in context” bonus points. 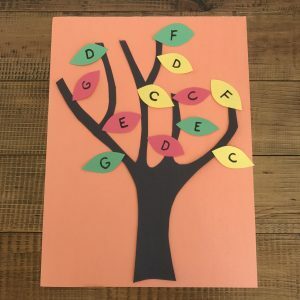 If you’re looking for a great fall activity for your young students, this is sure to become a favorite! 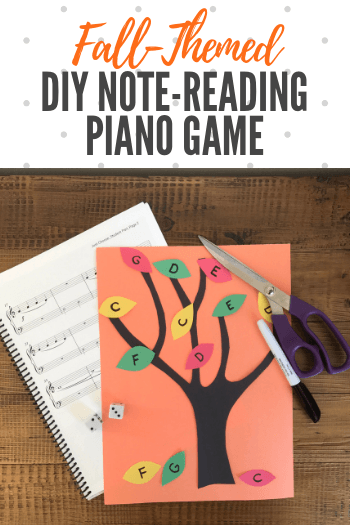 “Fall” In Love With Note Reading: A DIY Activity. 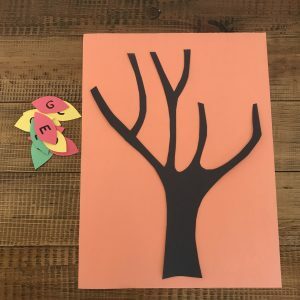 To prep this activity, cut a tree silhouette out of black paper and glue it to an orange paper background. Cut out 12 small “leaves” from the remaining colors. With your student’s current piece in mind, select a set of notes (I chose CDEFG) that will be your focus. Write the letter name of each of these notes on the leaves. Place the leaves in the branches of the tree. Do not glue the leaves to the tree. Open your student’s book to his current piece. Have your student roll the dice and add the two numbers together. The resulting value is the measure number he will then examine. Have your student name the notes in the treble (or bass) clef of the chosen measure. 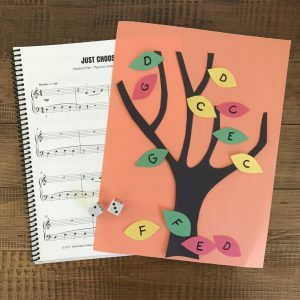 Your student then removes one leaf from the tree for every matching note found within the measure and places the removed leaves at the bass of the tree on the “ground”. Repeat Steps 2-5 three more times. How many leaves were removed from the branches of the tree? Did your student roll “doubles”? If so… he shouts out “leaf blower!” and gets to blow the remaining leaves off the tree… à la birthday candles. You can modify this game by writing rhythmic values, dynamic markings, articulation markings etc. on the leaves instead of note names. Looking For More Off-The-Bench Fun?